The gorgeous Pakistani Loach is known to be a very playful fish, and a great scavenger as well! The Yoyo Loach Botia almorhae is a very pretty fish. It is basically a silver color with dark vertical bands. Healthy Yoyo loach specimens will also display a beautiful prismatic light blue that blends from the edges of the dark bands into the silver body color. This may be an indication that they are in breeding condition, but has not been established for certain. 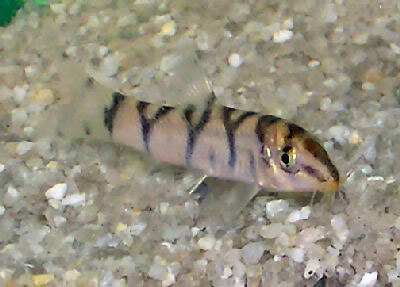 The Yoyo Loach is a Botia that comes from India and Pakistan. The specimens that come from Pakistan are darker than the lighter colored fish from India. It is thought that the fish from India may be a subspecies or entirely different species. Variations depending on local populations are common. This gorgeous fish is suitably named the Pakistani Loach because of its origins, and the name Almora Loach is derived from its scientifically description. But the coining of the name "YoYo Loach" has an interesting story. Ken Childs, the photographer of the photo above, worked in the aquarium fish import business for over 20 years. One day when a shipment of these loaches arrived, he remarked that these fish were bouncing all over the place just like yo-yo's. They also had an easily recognized patterning that tends to look like a "Y-O-Y-O" too. They quickly became dubbed the YoYo Loach, and it then became its common name in the industry. These fish are generally quite peaceful and though the The Yoyo Loach may tussle with members of their own species, they don't really harm one another. They do well in a community aquarium with other less aggressive species, but they can hold their own with mildly aggressive tank mates. Though most of the loaches are nocturnal, the Yoyo loach, once acclimated and comfortable with its surroundings, will come out during daylight hours and scavenge for food in rocks and crevices. The Yoyo Loach Botia almorhae was described by Narayan Rao in 1920. It is found in India and Pakistan. This species is listed on the IUCN Red List as Least Concern (LC) because it has a widespread range and is quite hardy. There are some potential threats to the habitat from deforestation and they are fished for the ornamental trade, but any negative impacts are undetermined at present. Other common names they are known by are Pakistani Loach, Almora Loach, Reticulated loach, Pakistan Loach, Yo Yo Loach, and Y-Loach. In nature it prefers still and slow running waters. This loach is considered a riverine species that It prefers still and slow running waters. It usually congregates in pools and still areas with rocky substrates. These loaches spawn upstream prior to breeding. These loaches tend to be mostly carnivorous but will eat aquatic vegetation if available. The Yoyo Loach can get fairly good sized, reaching up to 6 inches (15.5 cm). Their life span is generally about 5 - 8 years, though they been reported to live up to 16 years. This is a very pretty fish. It is basically a silver color with dark vertical bands. Healthy Yoyo loach specimens will also display a beautiful prismatic light blue that blends from the edges of the dark bands into the silver body color. It's body pattern seems to spell out the word Yoyo. This may be an indication that they are in breeding condition, but has not been established for certain. Lifespan: 8 years - This fish generally has a lifespan of about 5 - 8 years, but have also been reported to live up to 16 years. Since they are omnivorous, the YoYo or Pakistani Loach will generally eat all kinds of live foods. They like tablets and frozen foods as well, but flake foods are not suggested. Feed brine shrimp (either live or frozen), mosquito larvae, tubifex, daphnia, and some vegetable foods such as algae wafers. If your Yoyo loach doesn't eat right away, try live blood or tubifex worms. They will readily come to the top at feeding time and often turn while feeding and make sucking noises. Diet Type: Omnivore - Mainly carnivorous in nature. The most important thing for these loaches is that they always have clean and well-oxygenated water. Frequent water changes of about 30% a week are needed for the Bengal Loach. With your weekly water change make sure to vacuum the gravel to remove all excess food and waste. Make sure not to remove the bio film on rocks and decor. A magnet algae cleaner normally does a great job in keeping the viewing pane clear. The Yoyo Loach will swim mostly on the bottom of the aquarium, but will also swim in the middle of the aquarium. This fish does fine in a medium sized aquarium (20 gallons or so). Never introduce this loach into a biological immature setup as these fish require pristine water. They do best in soft, slightly acidic water with subdued lighting. They also need good water movement that provides plenty of oxygenation. The tank water should turnover at least 10-15 times per hour. An undergravel filter is a great choice for these fish as it creates high oxygen through out the tank as well as reducing the waste. Adding a canister filter or power head to the setup will make the proper current for this loach. It is recommended to have a tank set-up that resembles its natural habitat with plants, open areas to swim, and places for retreat. Because they are burrowers, the substrate needs to be a fine smooth gravel or sand that does not have sharp edges. The tank needs to have ample hiding places for this shy fish such as rocks, caves, and roots. These loaches are very inquisitive and like to explore so make sure to have a lot of caves and crevices. These fish can and will jump out of the tank if given the chance so make sure to have a tight fitting cover. Water Region: Bottom - These fish are mostly bottom dwellers, but will occasionally swim in the middle or upper parts of the aquarium and will come to the surface when food is offered. The Yoyo Loach is a good community fish. Though they hide during the day, they are lively and active in the evening. They are peaceful but they can hold their own with mildly aggressive tank mates. Monitor closely if long finned slow swimming fish are added. They should be kept in groups of 6 or more of their own kind. They may seem aggressive with members of their own species and other loaches, but this is usually the means of establishing a hierarchy. Their colors will actually "grey out" during conflicts, but it is nothing to be concerned with. Temperament: Peaceful - They are peace but a bit boisterous. Same species - conspecifics: Yes - Best kept in groups of 6 or more, but they will tussle for dominance. Peaceful fish (): Safe - May stress smaller fish. Plants: Monitor - Make sure all plants are securely anchored. Full grown females will be rounder. Not much is known about the breeding habits of this loach and they are not yet bred commercially. An outbreak of disease can often be limited to just one or a few fishes if you deal with it at an early stage. When keeping these sensitive types of fish, it is common to catch deteriorating water conditions and disease before other fish are affected. The best way to proactively prevent disease is to give your Yoyo Loach the proper environment and give them a well balanced diet. The closer to their natural habitat the less stress the fish will have, making them healthier and happy. A stressed fish will is more likely to acquire disease. 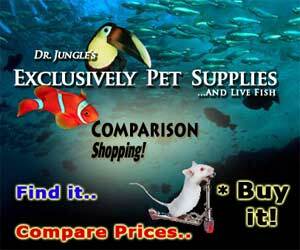 The Yoyo Loach or Pakistani Loach is usually available at pet stores and online, and is moderately expensive. I have 2 yo-yos. One is fine, I don’t see him during the day. The other is distressed and I don’t know why. It is constantly swimming round as if it’s being chased, which it isn’t. Often darting around and hitting the tank lid, like a balloon when it is let go of and darts around. I tried adding in another hiding spot (a plant pot) to try and give it somewhere else to hide in case the other loach is chasing it out of it’s hiding spot (I think it is), but he doesn’t seem to want it. Does anyone know what I can do to calm it down? I have 2 yoyo loaches had them a few months now , a few days ago they both went a very pale colour and lyes upside down !! Are they ok? I've just given away two pakistani loaches after keeping them for eight years. They have bullied and hounded every fish in my tank to the death. Beautiful fish to look at, fascinating to watch but down and out bullies. Would never give them a place in a tank again.